Dan Robinson was born the first of three children to Talmadge and Sarah Robinson. He was raised in Temple, GA, where his family faithfully attended First Baptist Church of Temple. Dan was saved at the age of 12 in his home church. In his early twenties, Dan strayed from the church and the Lord. During this time, he met and married Brenda, and shortly after they married Brenda became very sick with seizures. It was a trying time in their life, but Dan remained faithful. Dan and Brenda both knew the importance of raising their children in church, so they started going while Brenda was still sick. He would do her hair and make-up and carry her in church because that's where they found hope, among God's people. Dan thought he knew all there was to know about the Bible, but after spending time with the men of the church who were studied and seasoned in the Word, he realized that he knew what the Bible said, but he didn't have a clue what it meant. He knelt at the alter and prayed, "Lord, whip me like a mule until I know Your Word." 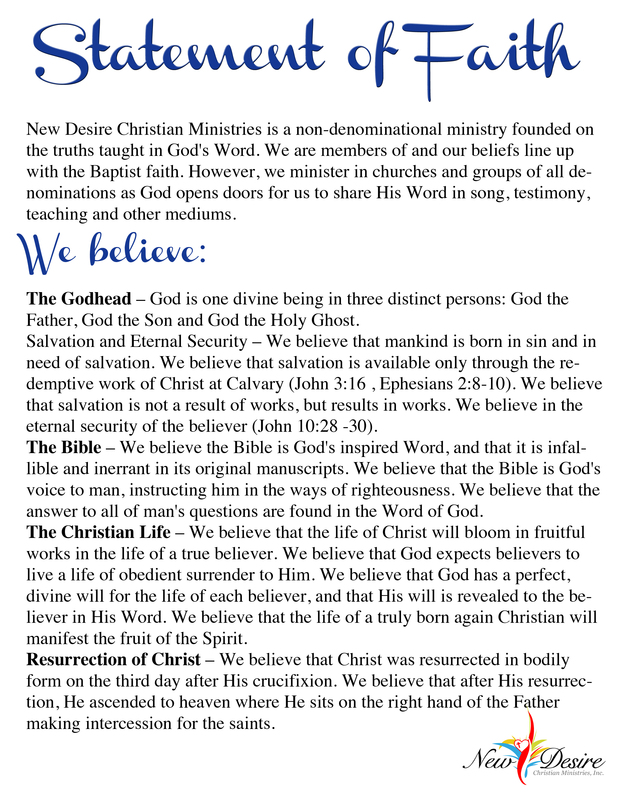 He began studying the Word daily and still does to this day. 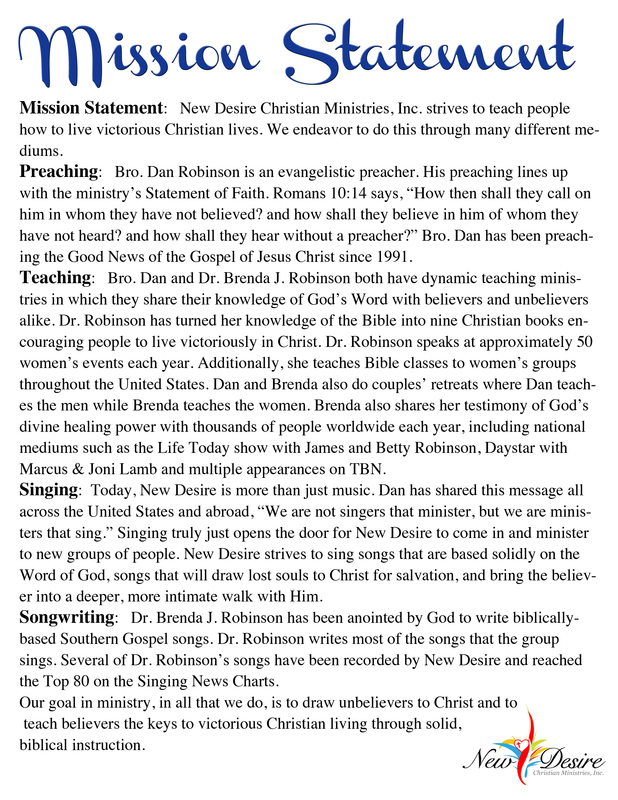 In 1990, Dan and Brenda founded New Desire Christian Ministries. Dan serves as President of the ministry. He is an evangelist who preaches services and revivals all across the world. He sings the bass part on stage, runs sound, and is the bus driver. To book Dan to preach at your church, visit the "Book Now" tab. 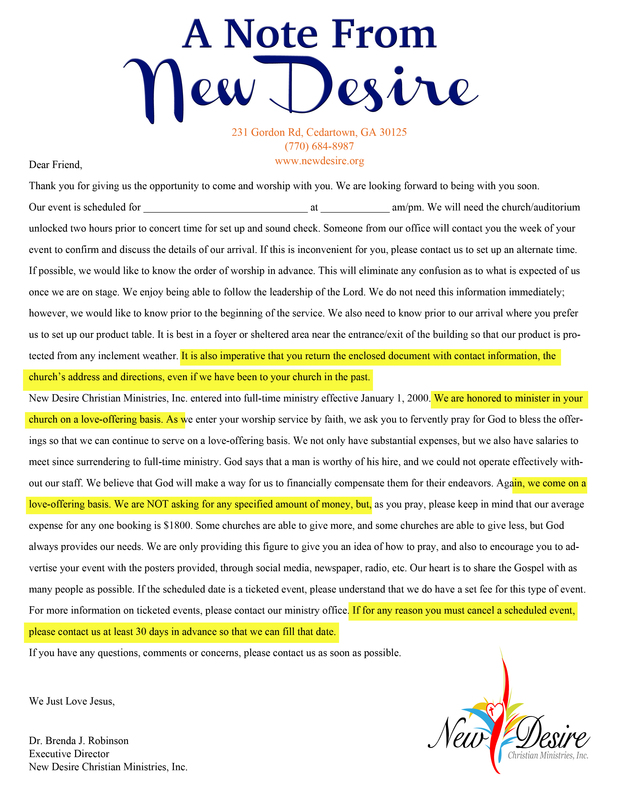 To contact Dan personally, send and email to newdesire@newdesire.org.